CargoMaster works with a GLOBAL TEAM of CONNECTED AND DEDICATED international LOGISTICS PROFESSIONALS .CargoMaster is a FULLY INSURED, INTERNATIONAL SHIPPING COMPANY (or International Freight Forwarder), boasting 35 YEARS TRANSPORTATION EXPERIENCE . CargoMaster is renowned for delivering COST EFFECTIVE international shipping solutions to and from Saudi Arabia, we have been SHIPPING CONTAINERS AND UPLIFTING AIR FREIGHT TO SAUDI ARABIA AND THE MIDDLE EAST FOR OVER 15 YEARS, (a heads up, look closely, don’t get caught out by copycats, asking questions beforehand could save you a fortune in impoundment fees and or other unwanted charges!). SAVING OUR CLIENTS THOUSANDS OF DOLLARS in international shipping costs, CargoMaster has moved hundreds of containers from Australia to and from Saudi Arabia and ALL OVER THE MIDDLE EAST, shipping a huge variety of cargo, for a very broad range of clients including; private individuals and families with personal and household effects, small business importers and exporters, Major corporations,Government departments and agencies, Australian Defence Forces. CargoMaster moves all types of cargo; machinery,excavators, cars,buses,mining equipment, industrial machinery,clothing,second hand goods, military machinery and equipment, major art shipments, ship spares, expo equipment, construction machinery, agricultural machinery, the list is endless! CargoMaster offers you a PROVEN , technologically advanced World-wide team of EXPERIENCED PROFESSIONALS who KNOW- HOW to get your goods to Saudi Arabia, QUICKLY AND COST EFFECTIVELY. CargoMaster only handles air freight shipments to Saudi Arabia, 250KG plus. 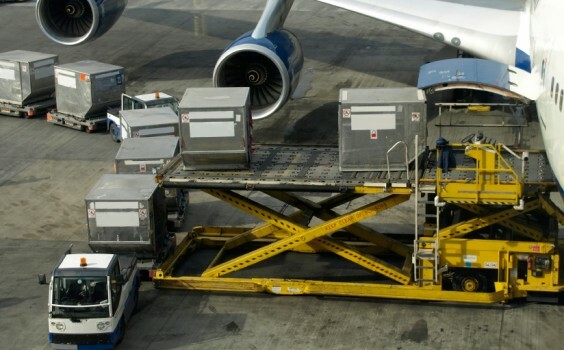 Our urgent air freight and deferred air freight services to and from Saudi Arabia are available from all Australia major cities and some regional centres (due to flight restrictions,or aircraft types or no international airport, partial road freight may be required) .So we are able to respond to your inquiries quickly, please check the weight and dimensions of your shipment prior to contacting us. Most popular air freight destinations are; Riyadh and Jeddah The heaviest traffic lanes for air freight are; Riyadh and Dammam. Transit times from Australia to the above Saudi centres will vary slightly, depending on the origin of the consignment, mostly you can expect between 3-5 days transit time from pick up (approx),if you need a faster service, yes we can do it, call us, we will be able to help! CargoMaster is not new to moving air freight to and from Saudi Arabia, as mentioned earlier, we’ve been moving air cargo to and from Saudi Arabia for many years,CargoMaster has built an impressive and extensive network of agents and linehaul operators in Saudi Arabia, there’s not many places in Saudi Arabia that we cannot get to!. CargoMaster air freight services to Saudi Arabia also include cost effective weekly consolidated air freight from Sydney and Melbourne, specialist air freight charter operations and consultancy services, heavy lift /heavy cargo and special project air cargo/international freight . REMEMBER, when you work with CARGOMASTER your backed by an EXPERIENCED international shipping company offering you an ESTABLISHED and PROVEN, TECHNOLOGICALLY ADVANCED international shipping network. We offer our shipping services to Saudi Arabia as specialists, with SECURITY, INTEGRITY and PROFESSIONALISM synonymous with the CargoMaster name. AIR FREIGHT AUSTRALIA TO SAUDI ARABIA SPECIAL “SPOT RATES” FOR LARGE AND HEAVY AIR FREIGHT! 20ft and 40ft shipping containers available Australia Wide! MOVING FROM AUSTRALIA TO SAUDI ARABIA,SAVE UP TO 40% IN REMOVAL COSTS! “SHIPPING CONTAINERS FROM AUSTRALIA TO RIYADH MUST BE BOOKED BEFORE XMAS! CALL OR EMAIL US FOR A FREE,NO OBLIGATION QUOTE! If you are relocating to Saudi Arabia and want to save money ask CargoMaster about Self Pack International shipping containers, an ideal alternative to expensive removalists and you retain control of the packing and timing of your international move, plus you will save thousands of $$$$$. Self Pack International Moving containers are delivered empty to your home , ready for for packing, when packed , you lock your container with a security seal ,then you simply call CargoMaster ,we look after all your export documentation and the careful loading and shipping of your container to your required destination.. Guaranteed to save you money, CargoMaster has moved 100’s of self packed containers from Australia to all corners of the world. 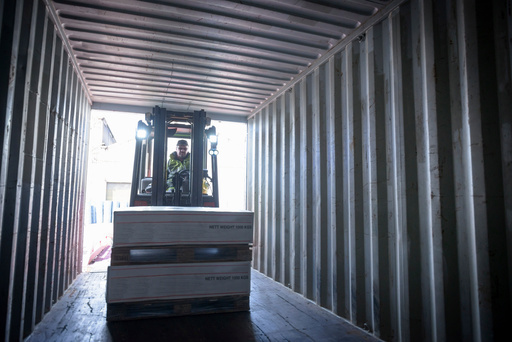 You simply tell us the day and time you would like your self-pack international container delivered, The CargoMaster team will then organise delivery of the empty container to your premises,ready for packing (or you can pack in our yard at no extra cost! ),upon completion of packing, simply attach your CargoMaster pre-issued numerical bolt seal and SECURITY LOCK your shipping container ,then call CargoMaster, we will take care of your Australian export documentation and look after the lodgement and shipping of your container to its intended ultimate destination. International Shipping Containers are conveniently positioned in Sydney, Melbourne, Perth, Brisbane, Adelaide,Darwin,Hobart and Canberra. Our moving containers are available in regional centres too, CargoMaster delivers self pack international moving containers to even the most remote locations in Australia.Self pack international shipping containers offer a FLEXIBLE and cost effective, self move alternative to expensive International Removalists. At CargoMaster we’re passionate about delivering cost effective freight services from Saudi Arabia to Australia! Contact the team at CargoMaster for competitive air freight and sea freight rates from Riyadh, Jeddah, Mecca, Medina and Dammam to Australia. Professional door to door air freight and sea freight services from Saudi Arabia to all Australian capital cities available NOW!